This weekend we went to Nebraska. I mean the movie, of course. Nebraska is nominated for six Academy Awards, and it's kind of hard to argue against its winning any of them. Not that it will. In fact, there's every chance this wonderful movie may go home empty-handed on Oscar. It's not an "issue" movie, like Dallas Buyers' Club or 12 Years a Slave. It doesn't break technological ground, like Gravity (hell, far from boasting CGI or 3-D, it was shot in black and white). It doesn't tackle an emotional true story, like Philomena or Captain Phillips. It's a simple, quiet movie about an old guy and his son taking a road trip and stopping off in their hometown for a few days. Doesn't matter. I absolutely loved it. Bruce Dern gives an amazingly deep and affecting performance. His Woody Grant is old, in the sense that not everyone of advanced age is necessarily old. He's old and he's confused and cantankerous, and he's not the nicest person in the world. But as the movie goes on, you discover the layers that make up the character - the love and kindness and simple decency that have found themselves knotted and tangled into the person he's become. Dern has some throwaway lines that are simply devastating in their ability to make you laugh and cry and cringe. And he does such a convincing job of acting old that Precocious Daughter feared for his real-life health and vitality (I assured her it's all acting, the real Bruce Dern is not only colorful and vibrant but also much beloved in Hollywood). The role is so much less flashy than Matthew McConaughey's in Dallas Buyers Club that I don't think he can possibly take the Oscar, unless the old guard voters come out in force. But that doesn't make the award any less deserved. Will Forte is a bit of revelation. He is totally up to the task of playing Woody's son, desperately aware both of how similar and how different they are. If you only know Forte as MacGruber, you're in for a huge surprise. Dude can act. And he and Bob Odenkirk make awesome brothers. The real star of the movie, though, is the cinematography. 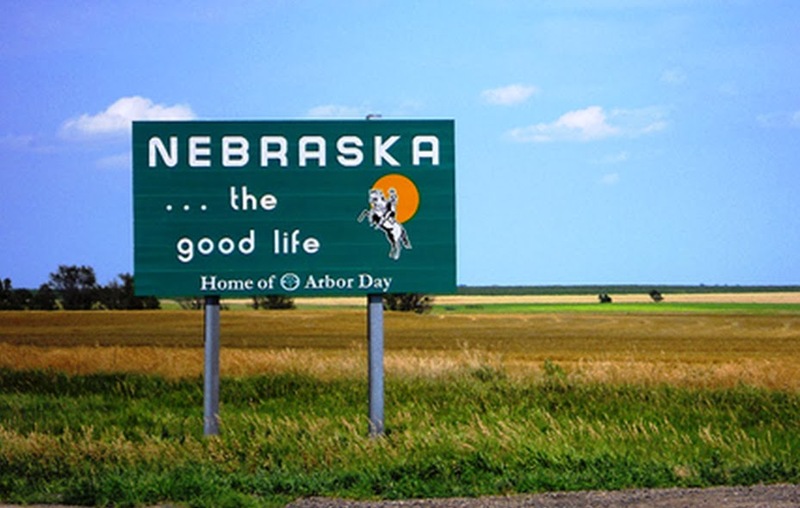 Nebraska is a road trip from Billings, Montana to Lincoln, Nebraska, and it was shot on location. The stark black-and-white scenes of America's Great Plains are beautiful and desolate in equal measure. The depiction of the Midwest's small towns and medium-size cities rings completely true. If there's justice in the world, this picture will win the Oscar for cinematography. America is very, very big. And very, very small. One little detail of this movie stuck with me at the end, and it's a tiny small thing, but it spoke volumes about the care and attention to detail with which Alexander Payne directed. At one point Woody and his family pull up to what they think is the house of Woody's former business partner. His sons intend to talk to him about paying off an old debt (I won't say more because it's one of the funniest scenes in the movie). They pull into the dusty driveway alongisde the house...and walk around to knock on the back door. Because if you grew up in the Midwest, you know that you hardly ever knock on the front door of anyone you know personally. That's how I grew up, and it tickled me that that little touch of authenticity made the cut. One other thing: Nebraska apparently is a chick flick for men (a bro mo? I'm going with it). Because when it ended (and the ending is as nearly perfect as you could imagine), the men in the theatre were crying. You could hear them. I didn't see any women crying. I guess we can't relate to belated, difficult bonding between fathers and sons. Men are such dear, sweet, emotionally stunted creatures sometimes. Still, it was kind of a revalation to see how this small, sweet movie could affect people in the private darkness of the theater. So, yeah, I loved Nebraska, and I'll be rooting for it on Oscar night. Check it out. Oh, men cry at a lot of movies which would surprise you. "Monsters Inc", for example; or "Avatar". My husband, my mother and I saw this a few nights before Christmas and really loved it. I have been in love with Will Forte since his early days on SNL playing a character called Tim Calhoun. He does subtle really well. I agree that it's a stark, lovely study of family, small towns, and the need for a little magic in our lives. I also agree that it probably won't get the love it deserves, but damn, what a movie! I'd been looking forward to this before. Now I'm really looking forward to it. And I feel a little bad because, until now, every time I've seen Bruce Dern in something I've never remembered his name, or what else I've seen him in. He's always been "that guy, who was in...that other thing". Thanks to the coverage surrounding Nebraska I know I'll always know who he is now, and I'm sure after seeing the movie I'll never forget him. With Will Forte perhaps at this point it shouldn't be a surprise to anyone anymore that some comic actors can really act. The fact that Bob Odenkirk is in this reminds me of Vince Gill's defense of Bryan Cranston as the lead in "Breaking Bad". The network thought of Cranston as a comedy guy, but Gill's defense was, "He's an actor. This is what they do." But then being surprised is one of the things that makes movies so great.